The Dominican Republic Winter League season runs from October to January and serves not only as a developmental league for young players but also as an offseason home for major-leaguers looking to keep their skills sharp for spring training. If you're planning a vacation to the Dominican Republic during these months, you can probably score tickets to one of the 50 games of the season. If you need a baseball fix to get you through the long offseason, checking out the Winter League will let baseball fans experience what some of Major League Baseball's biggest stars grew up with while in the Dominican Republic, including Adrian Beltre, David Ortiz, Luis Pujols, and Jose Reyes. Attending a Winter League game in the Dominican Republic is a great way to soak up the authentic culture of this baseball-mad nation. "Baseball in the Dominican Republic is more than a sport, it's a passion reflecting the soul of the Dominican people," says Celines Toribio, a native Dominican actress, model, and baseball TV show host. "The distinctively Dominican experience of seeing future baseball stars play on their native soil is incomparable, especially to U.S. baseball fans. Visitors to the DR have the opportunity of a lifetime to soak up the warm Dominican sun while catching a Winter League game." Popular Winter League teams include Toros Azucareros del Este from La Romana, Tigres del Licey and Leones del Escogido from Santo Domingo, Estrellas Orientales from San Pedro de Macoris, and Gigantes del Cibao and Las Aguilas Cibaenas from Santiago. Each winter season, these Dominican teams face off in a series of games that determine the champions. 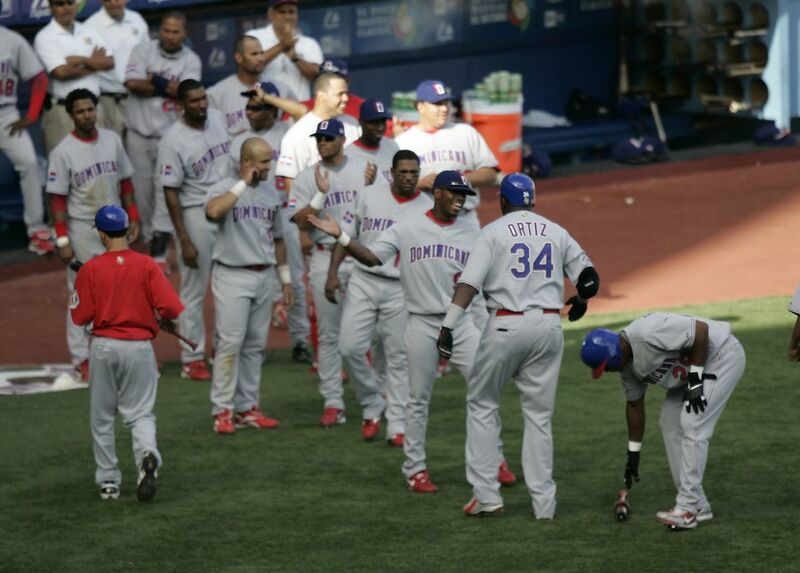 The Winter League champions then play in the Caribbean Series, which the Dominican Republic has won 16 times. Each DR Winter League team plays 50 games, and the complete game schedule is available on the Dominican Republic Professional Baseball League (LIDOM) website. Chances are that if you're in the Dominican Republic between October and January, you'll be able to catch one of these exciting games, a national pastime in the island nation that rivals American fandom of the same sport. If you live in the United States during the winter months, especially in the northern states, this time of year is the perfect time to get away from all the cold and experience the culture and warmth of the Dominican Republic in October through January. With tons of vacation options to choose from, even if you're not a fan of baseball, the Dominican Republic offers tourists the chance to explore nature, history, and art all in a tropical setting complete with pristine beaches and warm weather year-round. Consider visiting Punta Cana's beach resorts or the casinos at Puerto Plata or catch the mating season of the humpback whale in Samana Bay if you're visiting the Dominican Republic during the winter months. Alternatively, you could stay a while in the capital city of Santo Domingo to experience the art and culture of this small, isolated nation.